July 15, 2015 Fact of the Day: Are Millionaires tech savvy? DID YOU KNOW THAT MILLIONAIRES ARE TECHNOLOGY SAVVY? 74% of Millionaires use technology to access their investment account information at least once a week. And nearly all, 96%, do this at least sometimes. 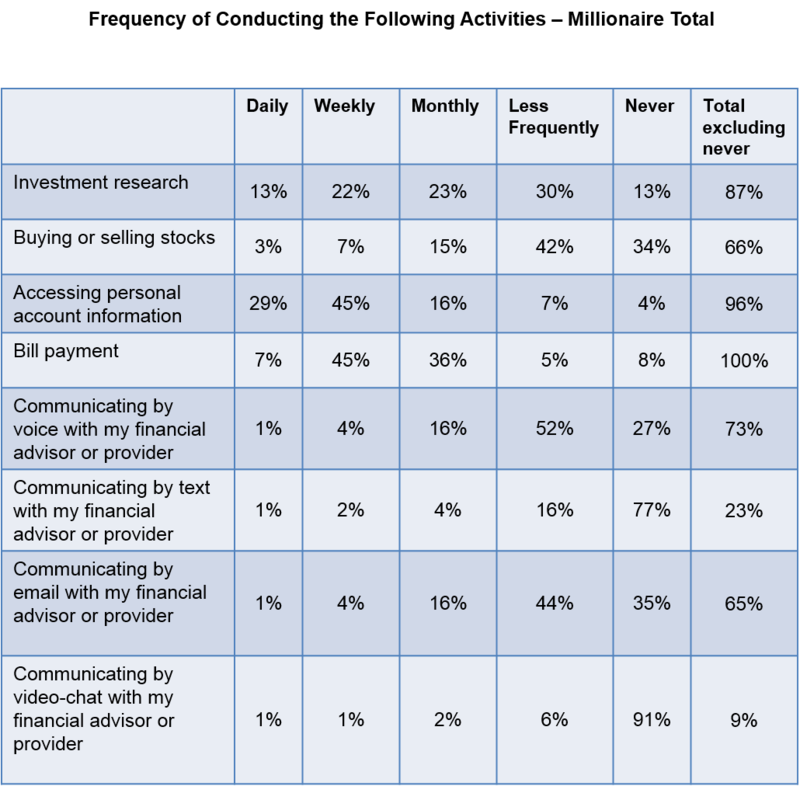 Many Millionaires are also using technology to do investment research once a month or more (58%) and to buy or sell stocks monthly or more often (25%). But the use of technology to communicate with advisors is less frequent. Only 21% use email to talk with their advisor monthly or more often. And even fewer, 6%, use texting monthly or more often.